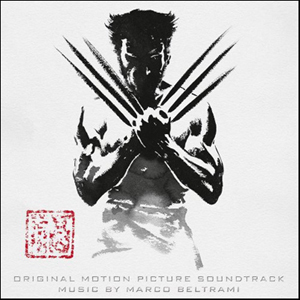 Sony Music is proud to announce the release of the original motion picture soundtrack of The Wolverine, composed by the Oscar-nominated Marco Beltrami. Based on the celebrated comic book arc, this epic action-adventure takes Wolverine (Hugh Jackman), the most iconic character of the X-Men universe, to modern day Japan. Out of his depth in an unknown world, he will face a host of unexpected and deadly opponents in a life-or-death battle that will leave him forever changed. Vulnerable for the first time and pushed to his physical and emotional limits, he confronts not only lethal samurai steel but also his inner struggle against his own immortality. The film opens nationwide on July 26, 2013. New York-born Beltrami has twice been nominated for Academy Awards: for his work on the Western remake 3:10 to Yuma (2007), and for Best Original Score for his music for The Hurt Locker (2010). He studied at the Yale School of Music and in Italy, before learning the trade of film composition with the great Jerry Goldsmith. Beltrami’s career began with the soundtrack of the thriller Death Match in 1994, and he gained renown for his work on horror films such as Mimic (1997), The Woman in Black (2012), and all four films in the Scream series (1995–2011). He has also composed two soundtracks for the Die Hard franchise: Live Free or Die Hard and A Good Day to Die Hard. His versatile talents have, however, taken him far beyond this genre to work on independent films, for which he gained two prestigious awards: a Satellite Award for Best Original Score for the drama film Soul Surfer, and in 2012 the Hollywood Music in Media Award for Best Original Score for the critically acclaimed The Sessions. I do love the scores of those films. Beltrami has a real sense of the story when he works and I appreciate that. Beltrami's work on this film is amazing. I can't wait!